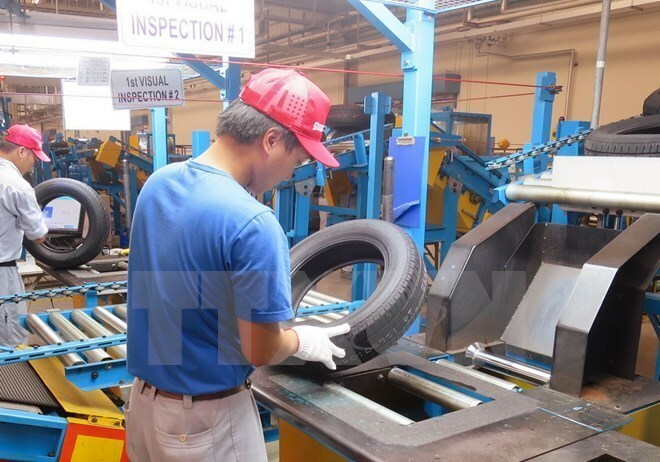 Hai Phong (VNA) – With 64.48 points, the northern port city of Hai Phong has slipped seven positions to 16th out of 63 localities nationwide in the Provincial Competitiveness Index (PCI) in 2018. According to the PCI Report 2018 by the Vietnam Chamber of Commerce and Industry and the US Agency for International Development (USAID) in Vietnam, the city scored 6.12 points in time cost; 5.21 points in policy bias; 7.81 percent points in labour policy. The drop showed that the city’s performance in economic management, business environment and efforts in administrative reform have yet to meet the expectation of the business community. In the recent three years, the city has recorded a number of achievements in socio-economic development. Under the Politburo’s Resolutions No.45 dated January 24, 2019, the city is expected to become a leading locality in modernisation and industrialisation and a driving force for socio-economic growth of the northern region and the whole country. By 2025, the city will basically complete the modernisation and industrialization process, and become a smart city by 2030.